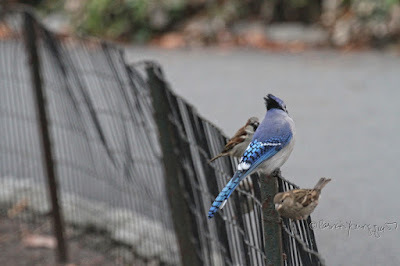 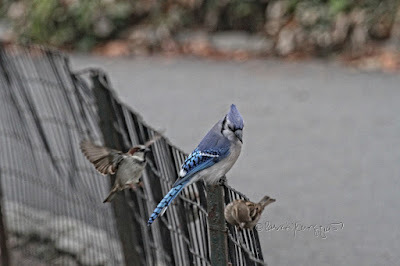 While walking in Central Park, this past Tuesday, January the thirtieth, I came upon a lone blue jay who was leaning a sympathetic ear to a couple of house house sparrows (as evidenced in the photograph atop this entry). The sparrows were expressing their angst about 2018's baseball's spring training which will begin later in this month of February. 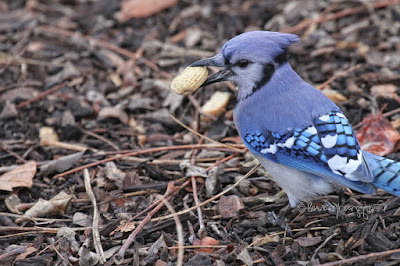 They were not taking issue with spring training per se, rather, their grievances came from the fact that certain teams have either a Baltimore oriole, a Northern cardinal or a blue jay, as their mascot, and to their knowedge no team has ever had a house sparrow represent them. 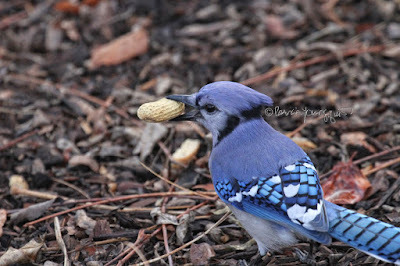 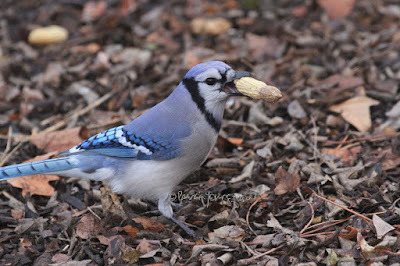 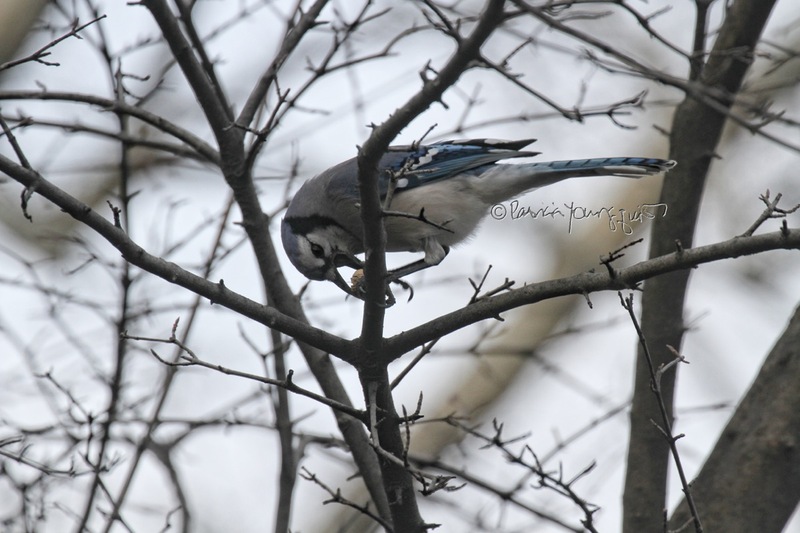 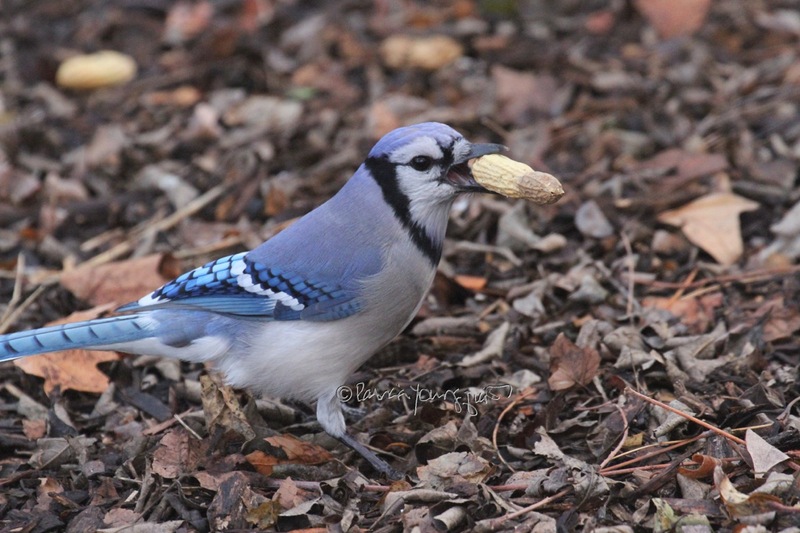 This blue jay listened intently as the house sparrows voiced their concern, but, he/she soon gave in to his/her business at hand, which was taking advantage of peanuts that he/she had discovered in the nearby area, which can be seen in the following set of photographs. 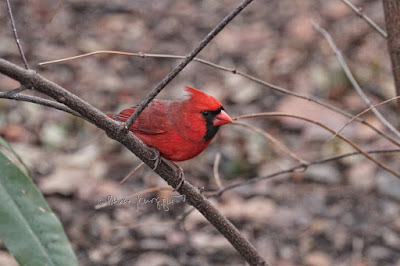 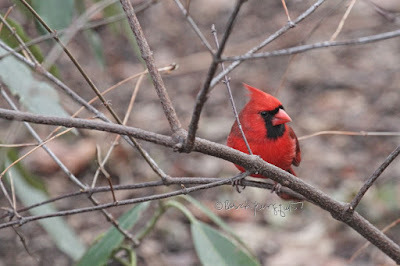 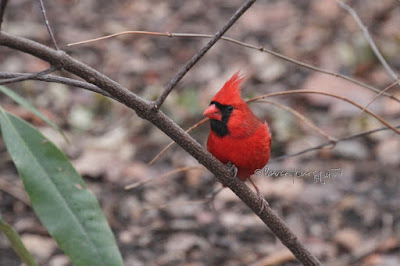 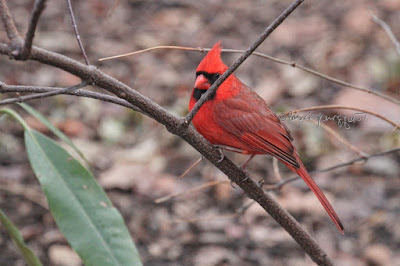 Meanwhile, a lone male cardinal seemed to eavesdrop (as seen in the pictures below) on the concerns being expressed by the house sparrows. 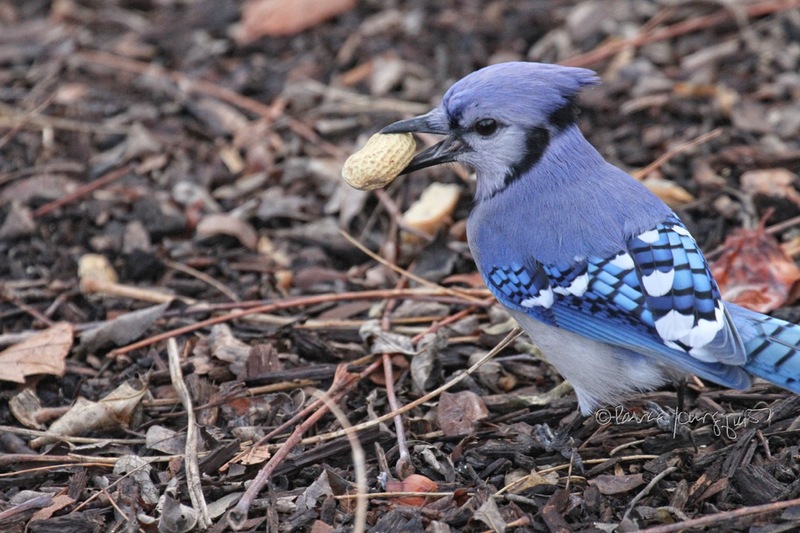 However, the red bird did not weigh in on the house sparrow's complaints; I assume that he was preoccupied with finding peanuts that the jay may not have noticed. 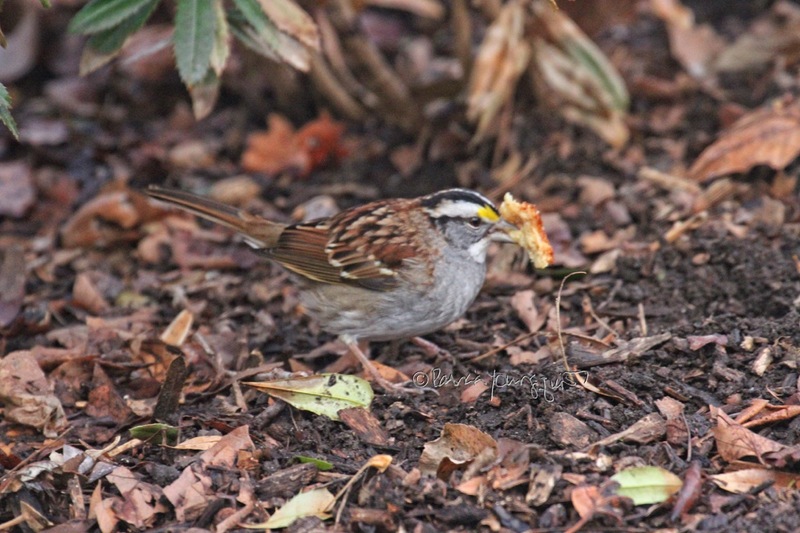 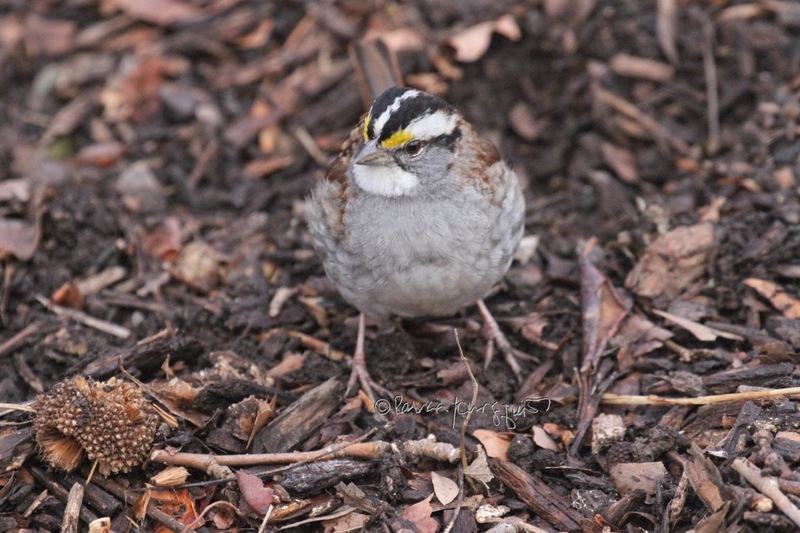 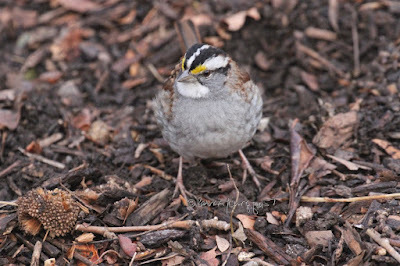 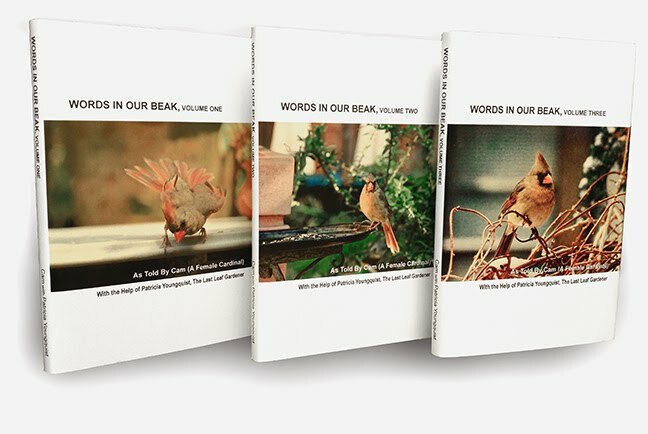 Not even the bird variety known as the White-throated sparrow — who is often associated with house sparrows — expressed much interest in hearing about what birds certain baseball teams use as their mascot. 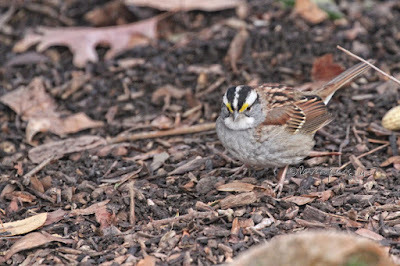 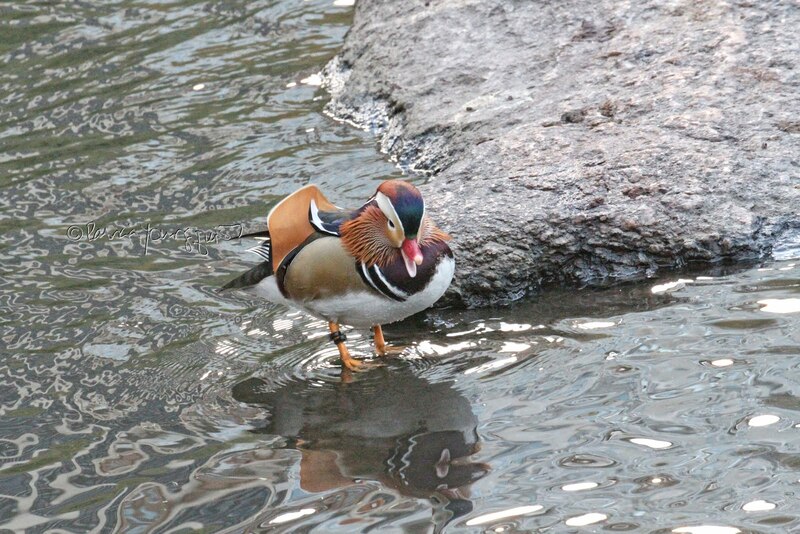 A lone one who did happen to be in the vicinity ignored the convo and opted to search the ground for food scraps. 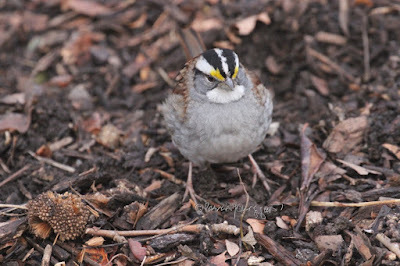 I guess the house sparrows will not be successful (at least as of this posting) in drumming up an interest re having baseball teams consider the use of a sparrow for their mascot.